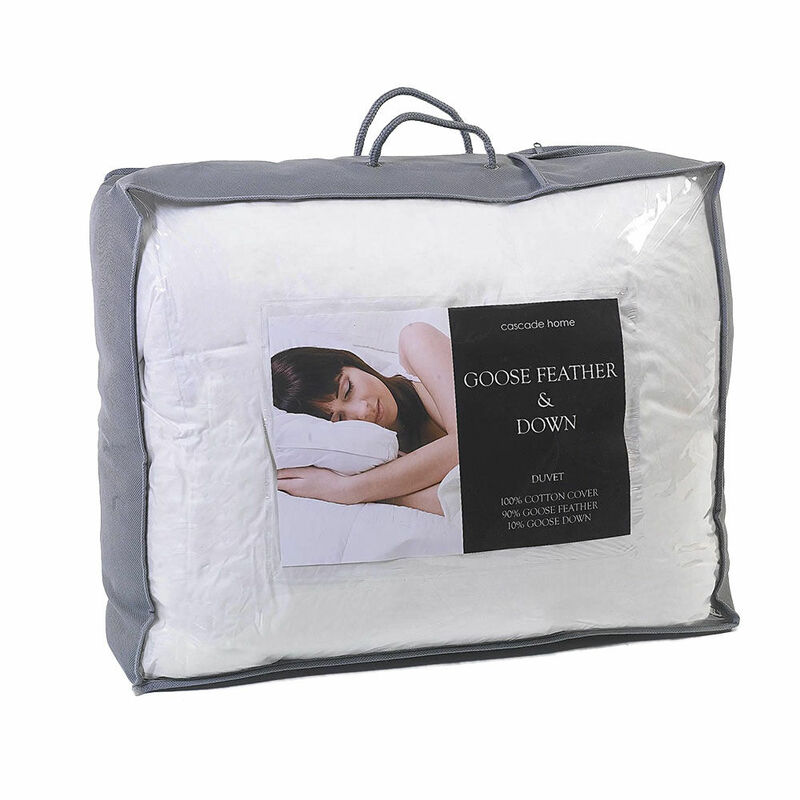 Goose Feather & Down Kingsize Duvet 13.5 Tog From Litecraft. This kingsize duvet brings a soft and relaxing feel to your bedroom that is sure to offer a great night’s sleep to whoever stays inside of it. Stuffed with goose feathers and down, this duvet gives a luxurious touch to your home. Finished with a cotton percale cover, this kingsize duvet is a wonderful addition to any bedroom.